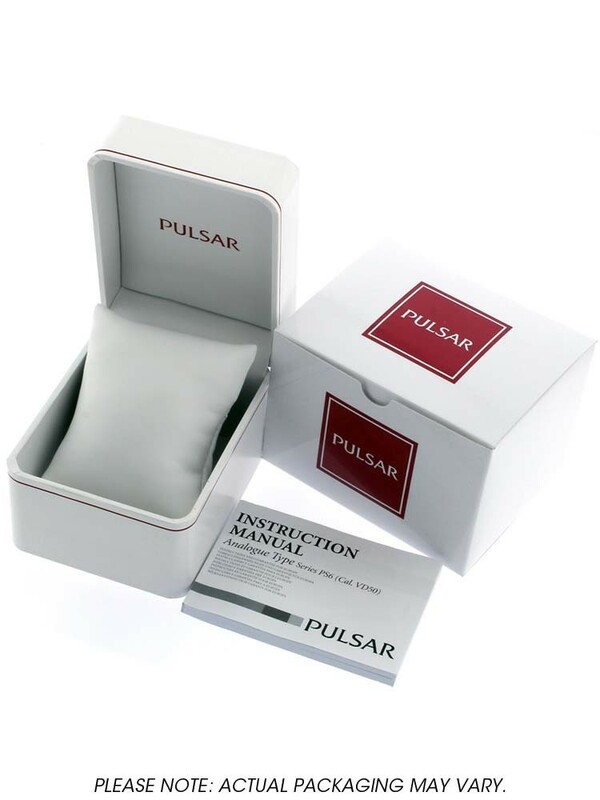 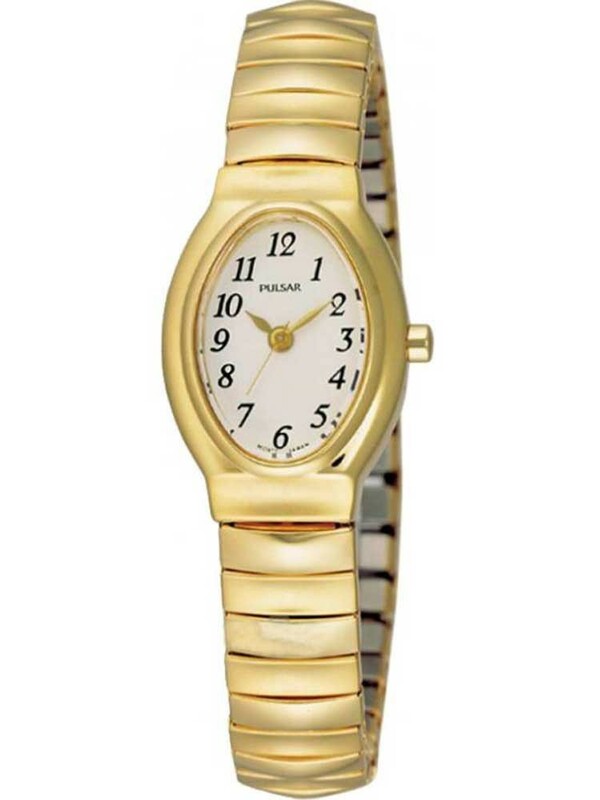 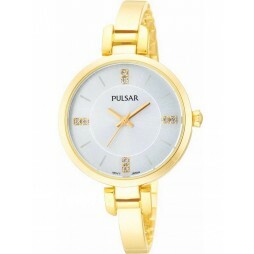 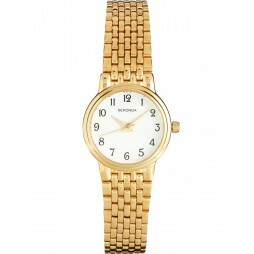 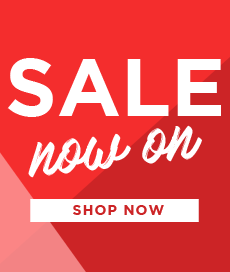 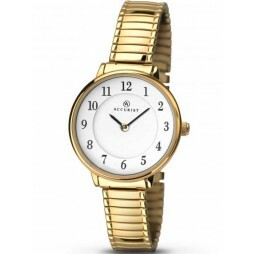 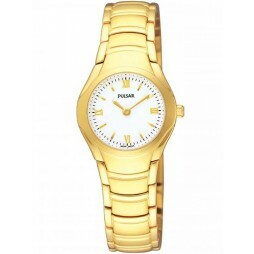 This sleek and stylish ladies watch come from Pulsar. 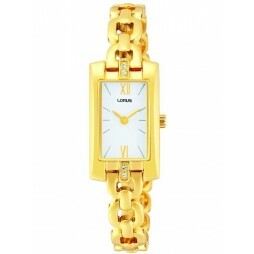 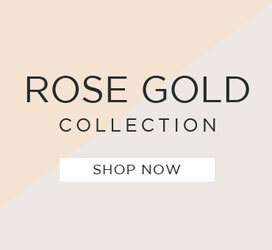 Smooth stainless steel crafted into an attractive expandable bracelet and oval case and gold plated. 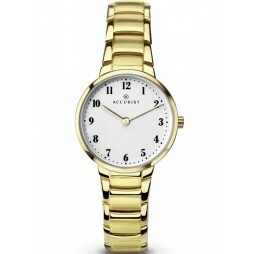 The white dial features easy to read full figures and slender hands for a classy finish.